Public comment period for proposed rulemaking will be open until Jan. 28. SACRAMENTO—California Division of Boating and Waterways (DBW) has proposed a new set of regulations to govern the state’s boating card and education requirements. Members of the boating public have until Jan. 28 to provide input and comment on the proposed rulemaking, which updates and clarifies requirements of the California Boater Card (CBC) program. A major proponent of the proposed rulemaking: mandatory safety education prior to the issuance of an official boater card. 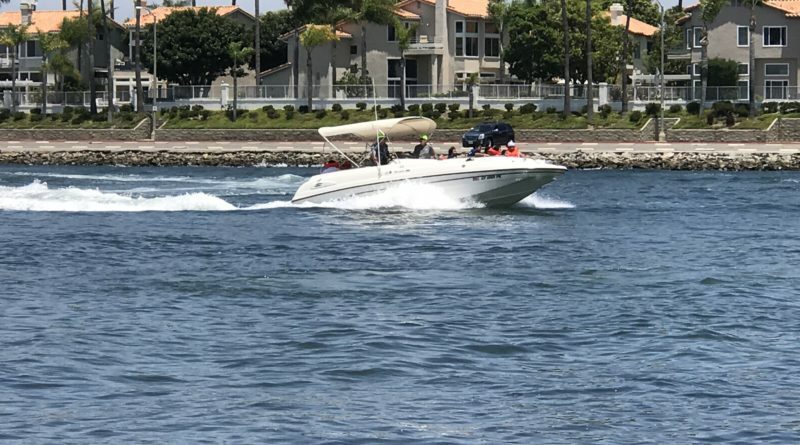 “The CBC program may cause an increase in persons taking and passing boating safety examinations, and this may positively impact businesses providing these examinations,” the proposed rulemaking document later stated. Fees already being collected for the CBC would cover associated costs for a mandatory boating safety education requirement. “Fees collected for CBC’s will be deposited into the Vessel Operator Certification Account, established within the Harbors and Watercraft Revolving Fund. Fees will be in an amount sufficient to cover reasonable costs of the program, but not exceed those costs,” the proposed rulemaking document stated. DBW officials stated the mandatory boating safety education requirement would reduce accidents and fatalities. “Statistics show that states with some form of boating safety education have fewer boating accidents and fatalities. The CBC requirement will educate the boating public to establish safer waterways,” the proposed rulemaking document stated. Requiring boating safety education as part of the CBC process was not part of the original drafting and execution of California’s boater card programming. No public hearing is scheduled for the proposed rulemaking, as DBW has classified the proposal as a clarification of current law. A public hearing can be requested, however, within 15 days of the public comment period closing. Boaters who seek to make comments or have questions about the rulemaking process can reach out to Charley Hesse, a regulations analyst with DBW. Hesse can be reached via email at Charley.Hesse@parks.ca.gov, by regular U.S. Mail at California State Parks, Division of Boating and Waterways, One Capitol Mall, Suite 500, Sacramento, California 95814, or by calling 916-327-1741. All comments must be made in writing, identify the proposed regulatory action and sent directly to Hesse. The proposed rulemaking can be found on the DBW website (bit.ly/2VpwYvH). The state charges boaters who passed a boating safety course $10 for a California Boater Card. California implemented its boater card program on Jan. 1, 2018. By 2025 every boater in California must possess a boater card in order to operate a recreational vessel. Boaters between 16 and 25 years old, as of Jan. 1, 2019, are required to have a CBC; the card is still optional for everyone 26 and older. The next age group to be required to possess a CBC: 26-35 by Jan. 1, 2020.